Northwest Montana has so many lakes, we can't even keep track of them all! From large lakes like Flathead Lake to small out-of-the-way lakes like Ashley Lake the entire area is covered with crystal clear water. Since this is Montana you'll find small hunting or fishing cabins on the same lakes as many large year-round homes. Making it great to visit or a place you'll love coming home to. If you're looking for something close to town there are several lakes that can easily fill that need or if you're looking for something out in the woods away from the hustle and bustle of daily life there are plenty of those too. 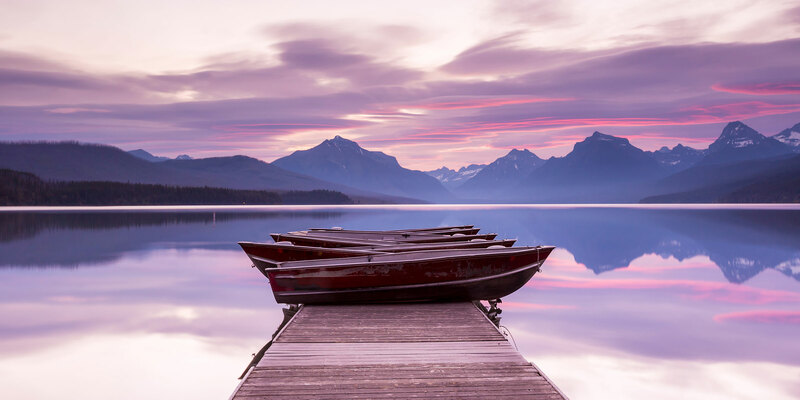 We have lakes that are known for their fishing as well as for boating, Montana is covered with them which is great when you're looking for any kind of waterfront real estate. Montana's lakes have a variety of fish and and are surrounded by other beautiful wildlife making it an outdoor enthusiasts dream. If you're fishing just off shore you'll want to be sure to watch the shoreline as a wide variety of animals can be spotted coming down for a drink. If you don't see the lake or river you're looking for, check out our Advanced Waterfront Real Estate Search or Search By Map for Rivers visit our Montana Riverfront Real Estate page. To find out more about Montana Lake Real Estate please contact our friendly agents today toll-free at 1-866-599-8160. Special Whitefish Lake Property. Approximately one acre with 130+/- waterfront feet. Newer Toy Barn with beautiful high quality Guest home on upper level with elevator. The Toy Barn is four stalls with four 14 foot doors ... will store most anything you would want. You could also use those stalls for game areas ... pool, ping pong, shuffle board; great game space! Gentle topography down to the main home, outdoor living area and wonderful beach front ... the kind of beach front everyone wants and the kind of lot that gives you lots of options ... this is one you will want to see for your lake clients! The views of the Ski Area and Mountain ranges are magnificent! For more information contact Tracy Rossi at 406-763-6808 or Scott Darkenwald at 406-212-3355 or your real estate professional. Over 300' of pristine Flathead Lake frontage on this natural and untouched lot. This lake frontage is what gives Flathead Lake the reputation of its pristine & clear water. Located in Yellow Bay, protected from the bigger storms that come from the north. In an area on the east shore surrounded by cherry orchards. The aspect of the property allows for maximum sunshine and epic sunsets. Perfect location for custom lake front estate or purchase in addition to the Many Springs Resort (also for sale MLS#21804894) for creative expansion. Yellow Bay is directly in front of the deepest part of Flathead Lake. 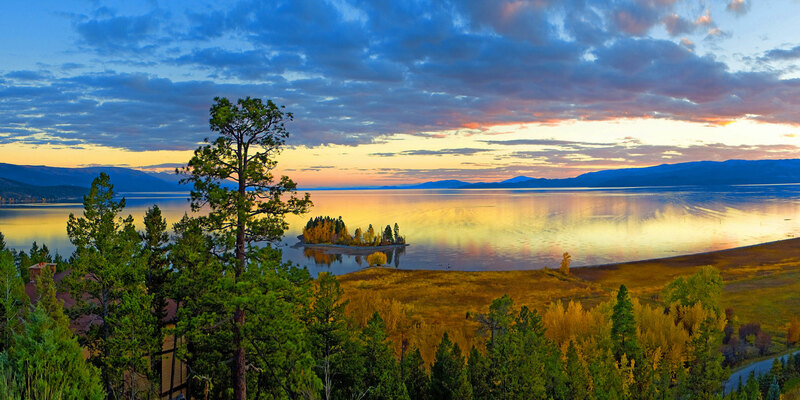 Located kayaking distance from the University of Montana Biological Station and Yellow Bay State Park. Only 15 minutes from both Bigfork and Polson. This Flathead Lake property, nestled in the popular Woods Bay area just South of Bigfork, gives the best of Montana! 15+ treed acres, equestrian set-up, trails, backing to state land and Flathead National Forest, with an additional cabin on Highway 93 offering many possibilities. Take in the views from the spacious residence which boasts expansive windows, an open floor plan, and vaulted ceilings, or cozy up next to one of the three fireplaces. Additionally, the lower level of the main home features a daylight walkout basement with an additional kitchen and opportunity to add an additional guest suite. Custom lakefront residence radiating cohesive design integrity and superior construction quality with 4 bedrooms and 5 bathrooms. Comprised of tasteful appointments throughout, it's rustic elegance is evident through the reclaimed oak floors and 12' ceilings supported by rough sawn Douglas Fir timbers, generous wine cellar, reclaimed timbers recovered from a buffalo ranch circa 1900, a natural wood burning 60'' stone fireplace flanked by a wet bar on one side and custom knotty alder cabinetry for your media equipment on the other side. Kitchen includes 48'' WOLF gas range, WOLF double wall oven, SUB-ZERO refrigerator, custom designed farmhouse sink, and Fisher Paykel double dishwasher. A superior lakefront property awaiting a fortunate new owner. Beautiful, secluded log home located off of Star Meadows Rd. Forest Service on 3 sides. Evers Creek borders the west side of the property. All main level living with beautiful hardwood floors and open floor plan. Gourmet kitchen opens to a great entertainment area. Guest Suite with private bath and beautiful master suite along with a third bedroom all on the main floor.Guest quarters located above the garage.Shop attached to the heated double garage. Radiant heat through out the main house. Rare find! This stunning property sits on almost 70 feet of Spring Creek frontage and features 3 bedrooms and 3 bathrooms in 2277 square feet with a master on the main floor. Neighborhood living with the serenity and privacy you're looking for! Fully fenced and landscaped including underground sprinklers and a drip system. Inside you'll find quality finishes and workmanship throughout this extremely well kept home including hardwood floors, soaker tub, and gorgeous kitchen with an island. Seller is a Licensed Real Estate Agent in Canada. Great Privacy, Water frontage & Glacier Views on this 20 acres. 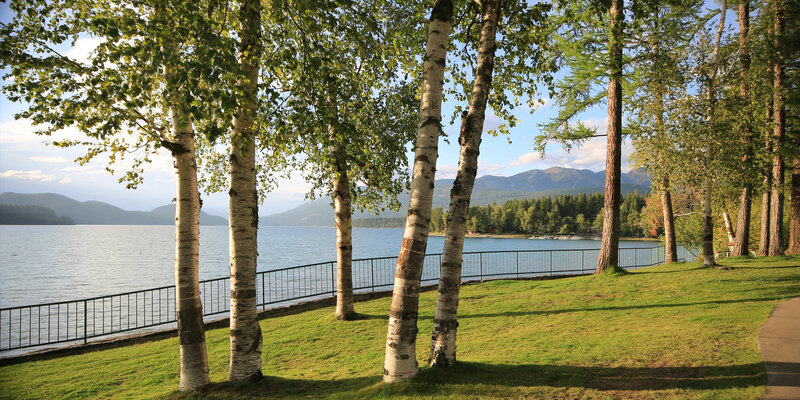 This property has over 1,500 feet of seasonal Spruce Creek frontage & exceptional panoramic views of Rocky Mountains of Glacier National Park. Unusual combination for the Polebridge area & located only a couple miles from the entrance to Glacier Park. Property borders State land with the road & home site already been installed & cleared. Don't miss out on this gem! The ravine through which the creek flows is a major wildlife corridor. Call Matthew Hohnberger (406) 212-3600, or your real estate professional. Here you go!!! Lake front living at its finest! 178 frontage ft and almost 3 acres on incredible Sophie Lake. Wonderful views of the Lake and surrounding Mountains makes this a picturesque setting that you will enjoy for years to come.A modern 4 bedroom- 3 bath home with a large deck and good views from inside as well as outside. A private dock with a boat slip on the lake goes with.Take a good look.Good Lake houses don't come around everyday.Call Terry Comstock at 406-250-7722 or your Real Estate Professional.